Jefferson City Music Academy, offering quality music lessons in Jefferson City, MO. 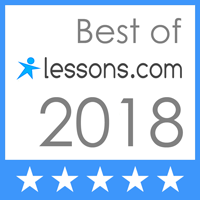 Offering quality music lessons - piano, drum, voice, guitar, ukulele, string instruments, and band instruments - AND Early Childhood music classes - in Jefferson City, Missouri. Welcome to Jefferson City Music Academy! ​60 minute classes - Same price as 30 minute lessons. MUSIKGARTEN SCHEDULE IS SET! REGISTER NOW! GIFT CERTIFICATES ALWAYS AVAILABLE, IN ANY AMOUNT. WHAT A GREAT GIFT FOR CHRISTMAS, BIRTHDAYS, GRADUATION, ANYTIME! We are open Monday - Friday until 8 p.m. Piano, Guitar, Ukulele, Voice, Drum, string instruments, and band instruments lessons, AND Early Childhood Music & Motion classes for younger children, ALL in ONE location. Whether you want voice, guitar, or drum lessons, and want to "jam out"; or a more classical approach, with piano or violin; we are the place for you! We're always adding new teachers, so if your favorite instrument isn't listed, give us a call! We currently have teachers for all beginning band and orchestra instruments, some for beginners only, some for more advanced students too. Call! Music and Motion classes for ages 0-7 yrs.- using the world-renown Musikgarten curriculum - based on a keen understanding of how children learn, in both a general sense and, specifically, how they learn music - developing comprehensive musicians. 2-year Pre-instrument classes for ages 5-8, called Music Makers, prepare students for success in piano classes or other instrumental or voice lessons. Private piano lessons for ages 7 to adult. Other instrumental lessons vary with recommended beginning age. Adults welcome - our teachers love teaching adults, too! Teachers have either university training or professional performance experience. They are passionate about teaching you what you want to learn! Our music teachers are dedicated to learning about your personal musical goals and helping you to achieve them. Recitals twice a year - free! Invite your friends and family to come listen to you play (or sing) your favorite songs. Recitals will be enjoyable for all, with a mixture of instruments - piano, voice, guitar, violin, etc. Lessons have a strong theory base -helps students transfer learning to new songs. Comfortable waiting room for parents – or you are always welcome to sit in on your child’s lessons any time you like. Conveniently located on Southwest Blvd., just south of Stadium, right behind "The Entertainer". Month to Month private lessons, no contract, start any time, continue year-round. Offering quality music lessons - piano, drum, voice, violin, and guitar - AND Early Childhood music classes - in Jefferson City, Missouri.